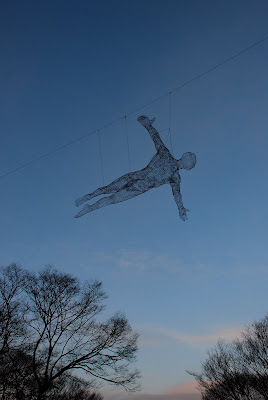 Celebrate Life: "Heart and Seoul... I fell in love with you.."
There's nothing quite like "digging" into a new culture on our first jet-lag free weekend... so we did just that. We joined some new friends that were Seoul bound this past weekend and it was a great time. We figured we needed to get our feet wet at some point, and probably the best way to do it was if someone was around to help "guide" us in/hold our hands. 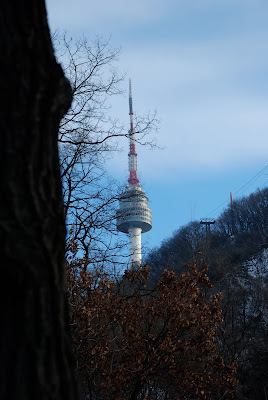 We did a quick trip in, Saturday overnighter to Sunday, took the bus (which leaves every hour from the base) and it dropped us off at Yongsan, another base. In my head, I was thinking that because it was a military base, that it would be on the WAY outer skirts of the city and that we'd have to take a taxi/subway for a few minutes to get in... that wasn't the case. 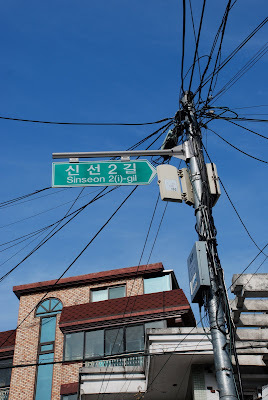 A couple minutes walk and you are in the district called Itaewon. It's a pretty popular area known for all the restaurants and loads of shopping. 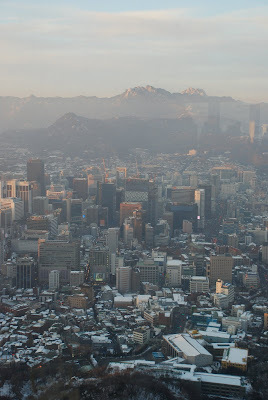 For those that aren't familiar with Seoul, it of course is the capital and largest city of South Korea, with a population of over 10 million (making it one of the world's largest cities). Seoul is located on the Han River right in the center of the Korean Peninsula. Most of this I had an understanding about, however, I had no idea that it was divided into 25 districts! Every part is known for something, whether it's the world's largest electronic market, seafood market, or whether it has a special museum or temple, etc. Lots to see... and we have 3 years to get through it all! 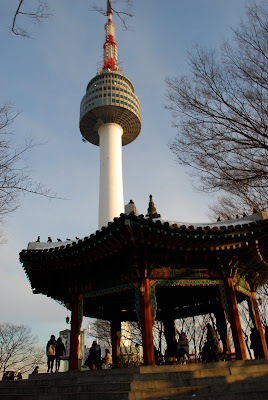 This trip we focused on getting adjusted to the means of transportation (subway and taxis), explored N. Seoul Tower, and of course tried some different food. It was a great introduction to this beautiful city and I'm so excited to go back and see more. I didn't take very many photos (I know, slap on wrist for me), I was just totally distracted by how "different" everything is compared to where we came from in Germany/Netherlands.